Today’s card uses this cute little digi stamp from the Digistamp Boutique called Eric Dino – well actually ‘he’ became a ‘she’ and so I have called her Erica. Cute huh? 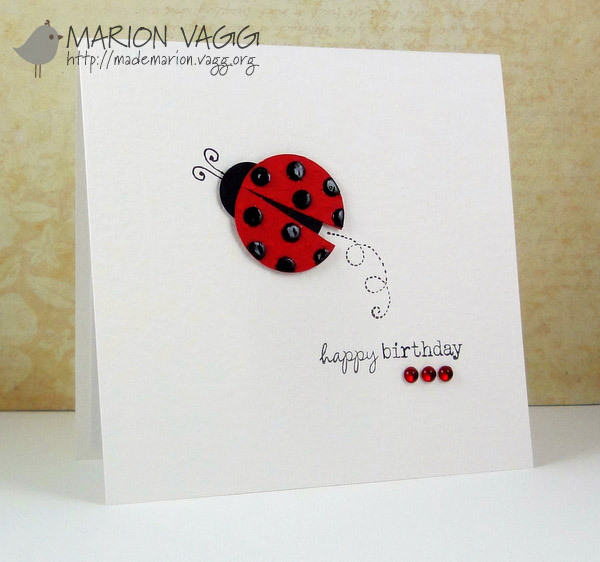 I have decided to enter her into two competitions – one over at the Digistamp Boutique in their October Competition and the other at The Papertake Weekly Challenge which I have recently come across. Their challenge is to create a card that incorporates 3 of something into your design – and I have 3 flowers to accompany Little Miss Erica. Erica was coloured in with Copics and the flowers some Carl Craft daisy punches. I drew the stems and leaves myself. I also have finally bought some thickers as I have seen so many great cards lately using these stickers, so I thought I would give them a go and I like the results! A close up of her plates, spots and eyes which have Glossy Accents on them but a bit hard to see in the photo). Other Supplies: Copics, glossy accents, Carl Craft daisy punch (small and medium- which I punched onto white cardstock and coloured in with copics), Kaisercraft pearls, black felt pen, American Crafts Glossy Letter Thickers – Nutmeg, Weave Extras – Teeny Tiny letter stickers – 8mm black. Just a quick post today. I thought I would share a birthday card that I recently made for a 4 year old’s birthday party that my son went to. A very simple, but cute little card. You can’t really see it all that well, but I used Glossy Accents on the spots to make them stand out more. I am loving Glossy Accents at the moment. 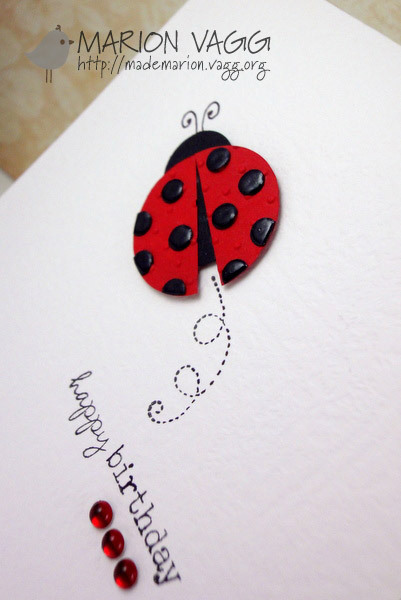 Supplies: Regal Craft white cardstock, Cuttlebug and Swiss Dots embossing folder, black and red card, Creative Memories circle cutters, circle hole punch, Glossy Accents, foam dimensionals, Pebbles Inc “Happy Birthday” rub on, green ribbon, black pen, corner chomper. Hi…. punch art cards to start the ball rolling! Welcome to my blog! This blog thing is all a bit overwhelming and new to me, but thanks to my hubby (who is the technological one in the family) I have my blog up and running. I love subscribing to other people’s crafty blogs as I get a lot of inspiration for my cards (and other crafty projects) from them and I have learnt many new techniques as well. There are so many talented people in this world and it is great that I can so easily access these wonderful ideas. Maybe someone out there will be able to get some inspiration from me. Well to kick off my blog I’ll share three of my recent and simple card creations….flowers in autumn colours. Supplies: Bazzill card stock, Cuttlebug Embossing folder, Carl Craft Punches, Kaisercraft pearl embellishments, ribbon, Wendy Irving rubons, thick cardboard tags, White Regal Craft Card, 3D foam dots.